Penn makes other open face reels in addition to famous Spinfisher V too. One of them is Penn Battle, that is known mostly among inshore fishers. Main difference between Battle and Spinfisher V is that the first one costs pretty much half what Spinfisher V does. This means it is suited for much larger audience, to people whose primary target isn`t exclusively big game fish like marlin or sharks. In this review we are going to find out how much lower price tag affects the reel`s overall quality, because it certainly will to some point. It has total of 8 models. Ranging from 1000- 8000. Every single one has 6+1 bearings. Traditionally each version has bigger line capacity than previous one. Max drags range from 7-25 lbs. The weight difference between first model and last model is pretty huge , 7.9 oz and 29.2 oz. BTL 5000-6000; 5.6:1- biggest difference with previous models is the drastic weight and maximum drag increase. Weight 20 oz, max.drag 20 lbs. BTL 7000- 8000; 5.3;1- These hold the most amount of line. Max drag 25 lbs and weight 27-29 oz. Battle has different versions for light action and heavy action which is always good. Still, pervasive theme in these reels is moderately high gear ratio, their build is probably more suited to river/sea type fishing. Still I can see them handling some smaller offshore species quite fine too. 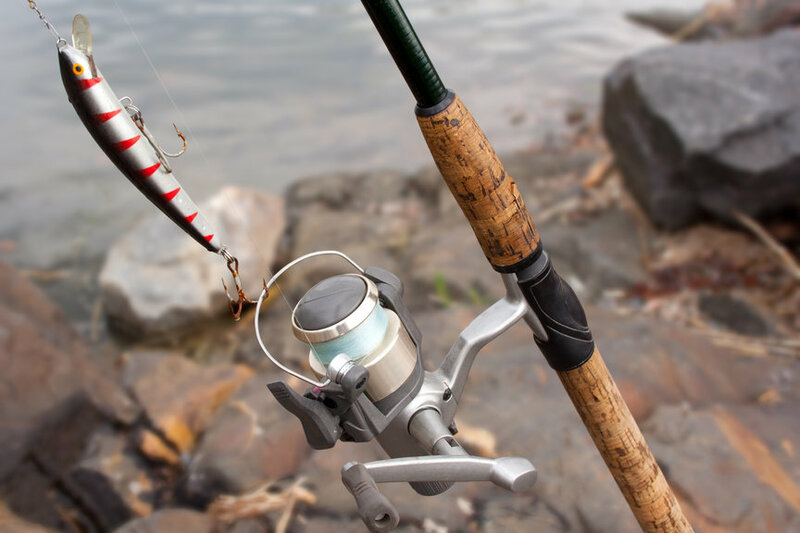 It uses the same full-metal body and sideplate construction as famous Spinfisher V. This is good news, because Spinfisher V is prime example of durability. This construction helps to keep gear alignment when spinning reel is under a heavy load. Known as one of the highest quality washers. HT stands for high quality and “100” means that 100 miles of fishing line was taken against reel drag without decreased performance in washers. When bigger fish is making a long run and line is constantly decreasing, pressure needed for drag to give line increases. Those really complete the main task of drag washers which is to provide as smooth drag as possible, especially under heavy and critical loads. This has became one of the Penn`s trademark features. It enables to put only braid line to spool. No mono backing needed thanks to rubber gasket that keeps superline from slipping. Spinfisher V has this feature too. Must have feature in today`s spinning reels. Disables back-play of handle, good for setting up powerful hooks. It is accomplished by adding one-way only bearing in the reel. This Penn reel does exactly what it needs to do. It offers Penn`s traditional quality and shares many same features with top of line spinning reel like Spinfisher V, that alone is quite a big achievement. This reel deserves nickname like mini-Spinfisher. Other big part of Penn Battle`s success is its affordable price, which tempts beginners or people looking for a reel around $100. I was honestly surprised in Battle 7000 and 8000 price tag , especially considering these models use many same features as Spinfisher V.
Of course with this kind of price, somewhere Penn had to do concessions. First downside would be that these reels are bit too heavy compared to other similar open face fishing reels like Shimano FJ. The weight difference is maybe 1-2 oz , but it adds to fatigue when there has been a long day of casting. Second downside is that some people have reported frequent wind knots happening , especially when spool is full. To sum it up, looks like Penn has put more emphasis on durability and not so much to performance. I think it would be good use for close to shore fishing, because of decent saltwater resistance abilities, not so good fit for river or completely off the shore. This reel is far from perfect, but pros overcome the cons. 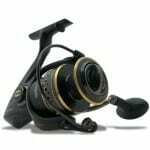 Penn has done great job developing this bargain price spinning reel which has only few drawbacks. 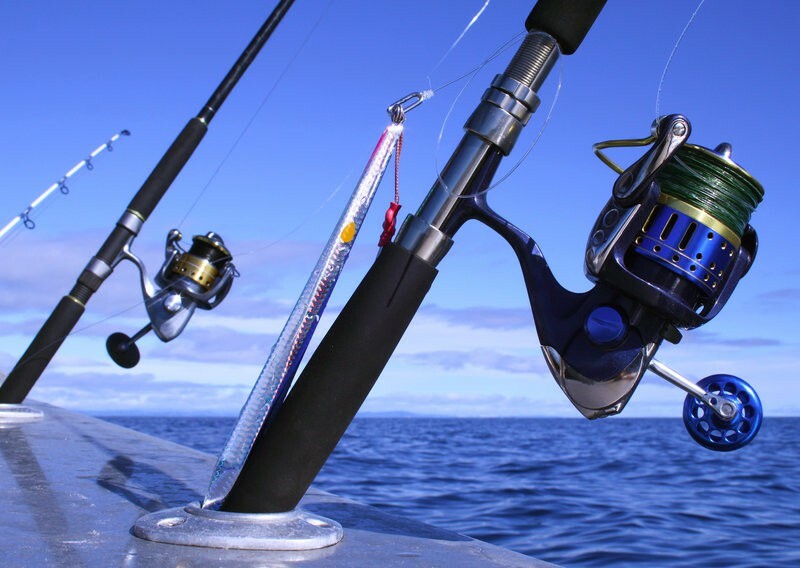 I would recommend this reel for everyone who is looking for a budget spinning reel which has Penn known quality and corrosion resistance and enough power for even smaller offshore species.